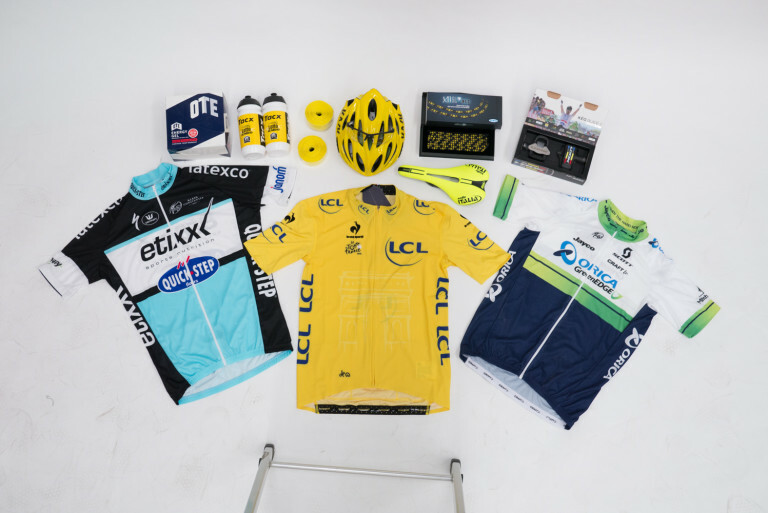 We’re giving away almost £3,000 worth of cycling prizes throughout the 2015 Tour De France! Each week we’ll be running a big prize competition. So that means three chances to win loads of stuff throughout July. What can you win? Read on to find out. Let’s start with all the yellow stuff! 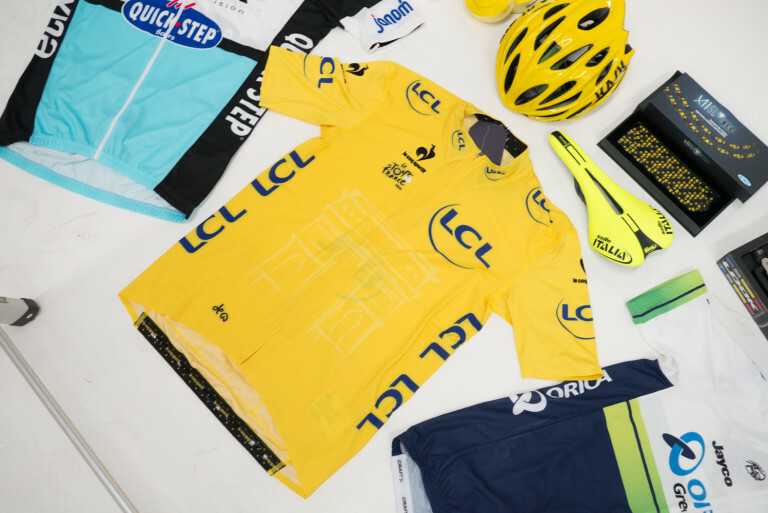 This authentic, polyester-elastane jersey is a replica of the one worn by the Tour winner. It features an elegant, athletic cut and proudly bears a flocked filigree print of the Arc de Triomphe on the body. The inner collar is lined with the brand’s signature multi-triangle pattern, and the tricolour label on the back adds a signature touch to the 2015 jersey from our Paris-based design team. 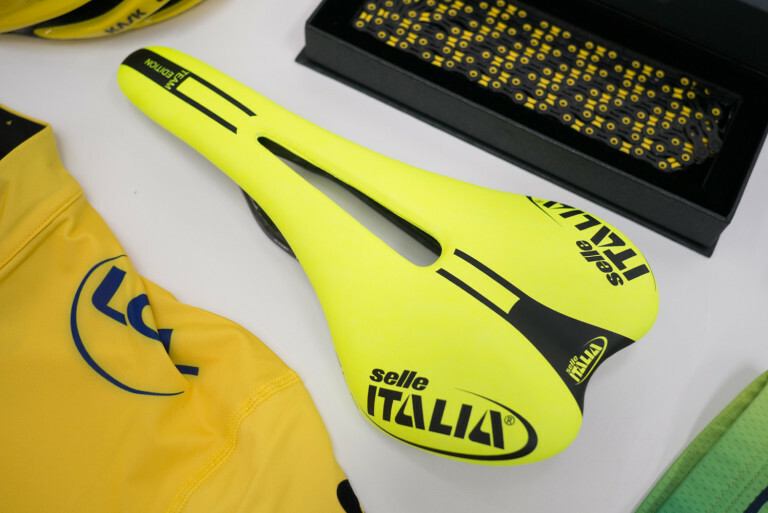 The SLR saddle retains all the characteristics that made it a best seller – used by pro cyclists all over the world. The new SLR is 15% lighter than before too. Range topping 11 speed chain from KMC. 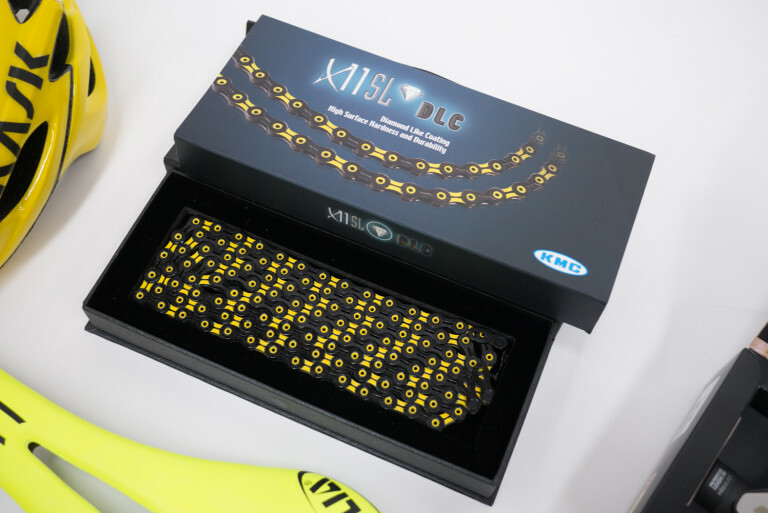 World-class professional racers proved that KMC Chain provides the right DNA leading to the Tour! KMC’s X11 series offers great advantages on your 11-speed system, such as very high durability, super light weight and easy to mount connecting link. 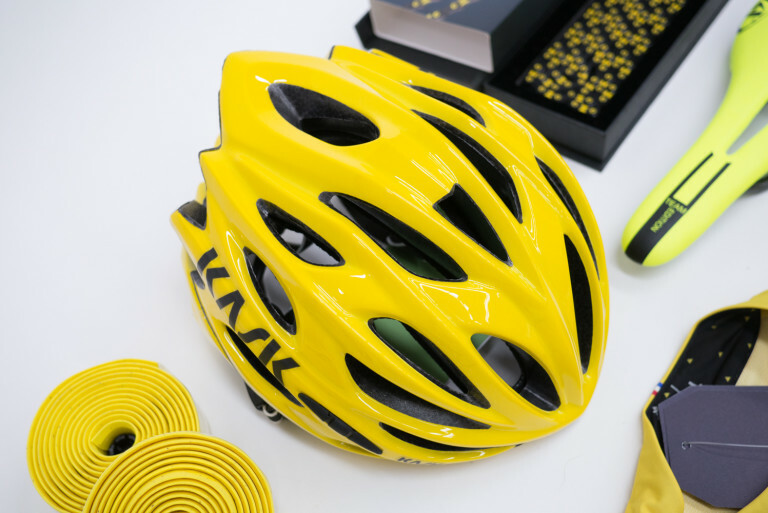 The Mojito has only been in the KASK cycling collection for nearly two year but it quickly proved to be very popular model – everybody loves it. Its light weight and super ventilation meant Mojito was the helmet of choice for Team Sky’s high performance riding over this past season. More elasticity, more comfort and the highest shock absorbing properties thanks to Vibra Absorb. 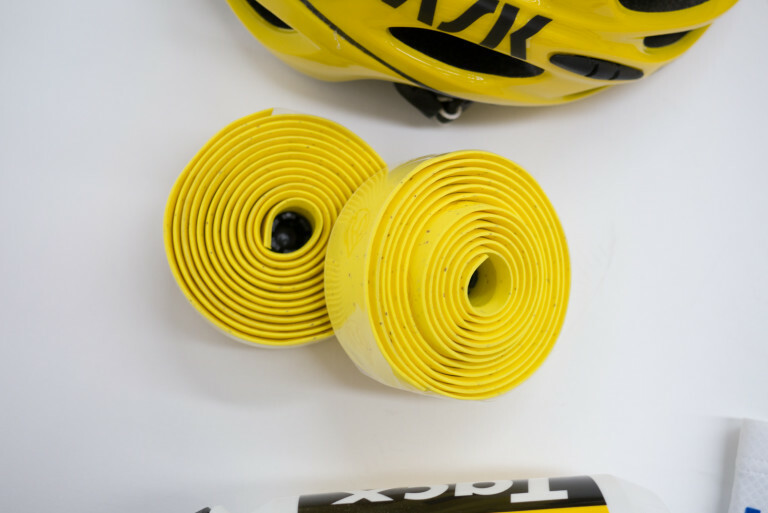 A gel that covers the inner surface of the tape, self adhesive and perfect to wrap. It is heat-proof (>60deg – 140F), tear resistant and super soft. 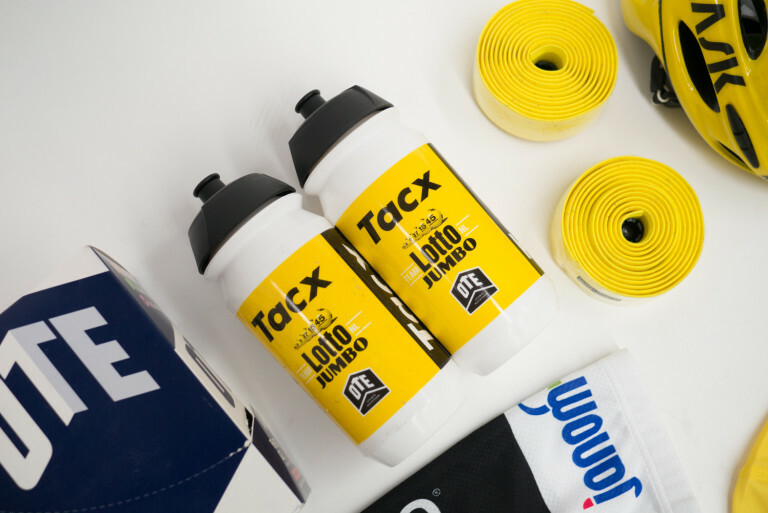 There is no finer bottle for putting your OTE Sports energy stuff in than this one. In fact, you get two of them should you win one of the competitions. This competition is already open. Go and enter it now. All you need to do is enter your email and name. 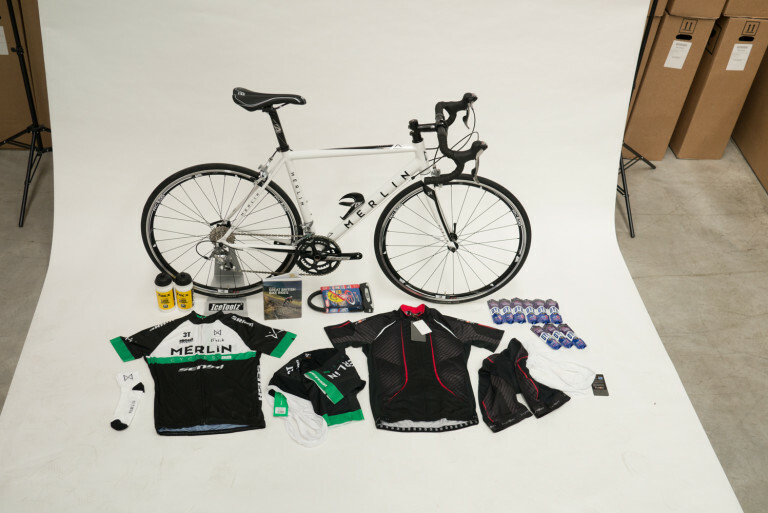 Full details of this competition will be revealed next week but you can have a wild guess at the stuff that you can win by checking out the above photo. The Big One. Full details of this competition will be revealed all in good time. 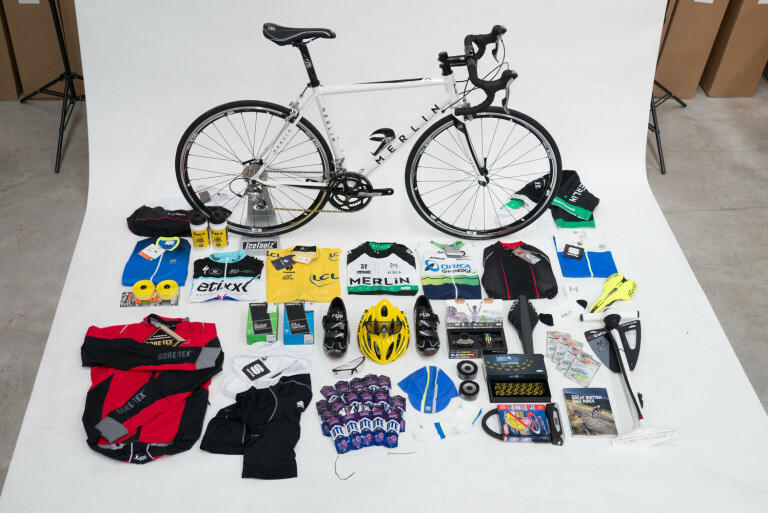 You might possibly be able to make out that there’s a whole bike to be won! Stay tuned. 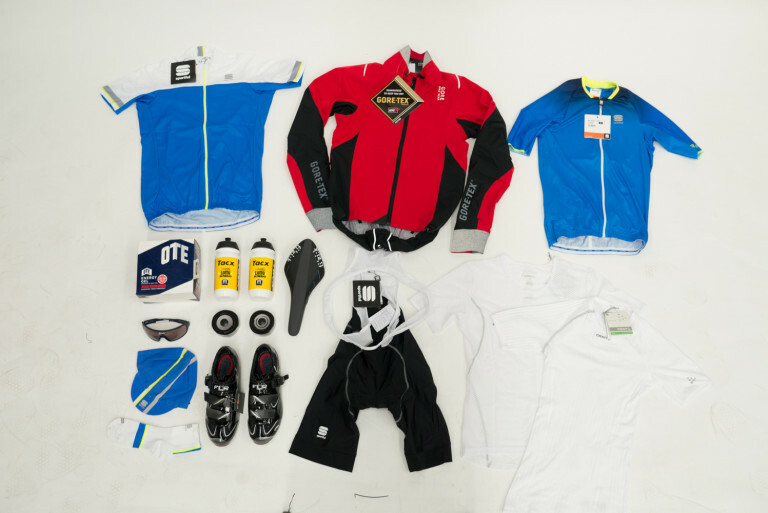 Tagged competition, goods in, le tour, tdf, Tour De France. Bookmark the permalink. They’re hard to come by unfortunately. We just got one in from their UK distributors for this competition I think.